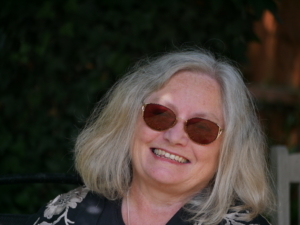 Welcome to a new feature on my author services blog. The Editor’s Desk will feature interviews with my book editing clients. We’ll talk about the editing process and how you can find the right editor for your book. 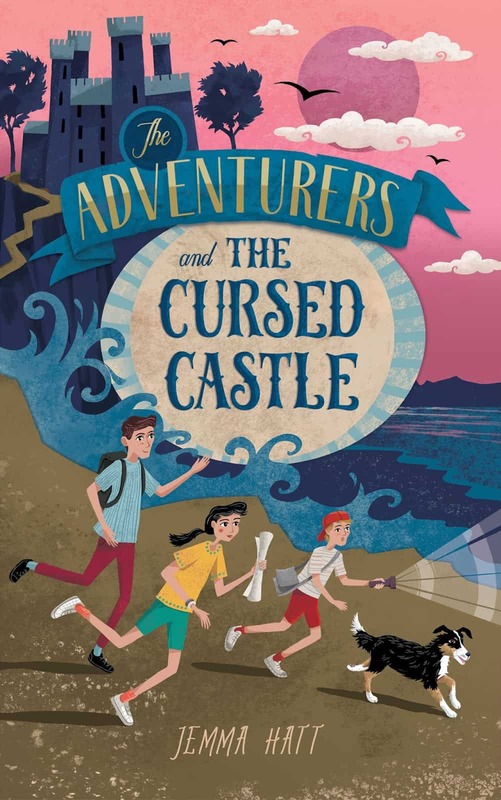 Congratulations on publishing The Adventurers and the Cursed Castle and for hitting the bestseller list on Amazon. How does it feel? Thank you, Amanda! It feels very surreal – publishing a children’s book has been a lifelong dream, even though I didn’t pursue it for a long time. Seeing my book in a bestseller list amongst Enid Blyton and so many other authors I admire was completely unexpected and such a thrill! How did you find the editing experience? This was your debut novel, so were there any surprising aspects that you didn’t expect? I often read a lot of comments about the editing process being laborious and difficult, so I was a little nervous about how much time and energy the whole process was going to take. But I found the suggested edits made complete sense and were not difficult to work into the story, but greatly improved the quality of my work. What tips would you give to authors hoping to find/work with an editor? Read testimonials and have a look at some of their previous clients’ work. There’s lots of writer groups on Facebook where authors make recommendations too. Make sure you know what type of editing you’ll be receiving and what the editor will be looking to give advice on. How did you prepare for launch day? What marketing tips can you give my readers? 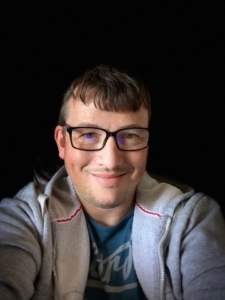 I read some great advice from Adam Croft in his book The Indie Author Mindset which was basically to not worry too much about launch day. It’s a really exciting time, but it won’t make or break your book. The great thing about indie publishing is that your book will be available in the market for as long as you want it to be – so don’t stress! That being said, I did a few things to market my book for launch day. Every author has access to a local network that doesn’t cost anything – friends, family, fellow authors, local groups on Facebook. This network has been invaluable to me in spreading the word about my book. I wrote a press release which led to an article in my local newspaper. Book blogging is a powerful resource – I worked with two book bloggers (Linda’s Book Bag and your book blog, Go Book Yourself) on my cover reveal – this created a great buzz around my book and resulted in a lot of social media shares. I know you’re writing book 2 right now. Are you doing things differently or are sticking with methods you’ve used for The Adventurers and the Cursed Castle? I started The Adventurers and The Cursed Castle in 2012 when I lived in America. I got to around 10,000 words in, got stuck on a part in the story, became busy with work and didn’t touch the manuscript again until 2018! In book 2 I started to become stuck at around 10,000 words again. I’ve since heard that a lot of writers have a point at which they find things tricky and lose confidence. This time, I kept plugging away, trying to find time to write a little bit every day, until I got through it. Once you get past that sticky point, it becomes a lot easier. I’d definitely recommend anyone else who faces this problem to keep going… or at least don’t leave it 6 years to pick up your story again! When are you planning to release book 2? Hopefully, this summer, if all goes well! Where can my readers find you online? Thank you, Amanda, for having me on your blog! I can’t wait to work with you on The Adventurers book 2! Thank you Jemma, it was a pleasure working with you. If you’d like to talk to me about book editing. Contact me HERE. 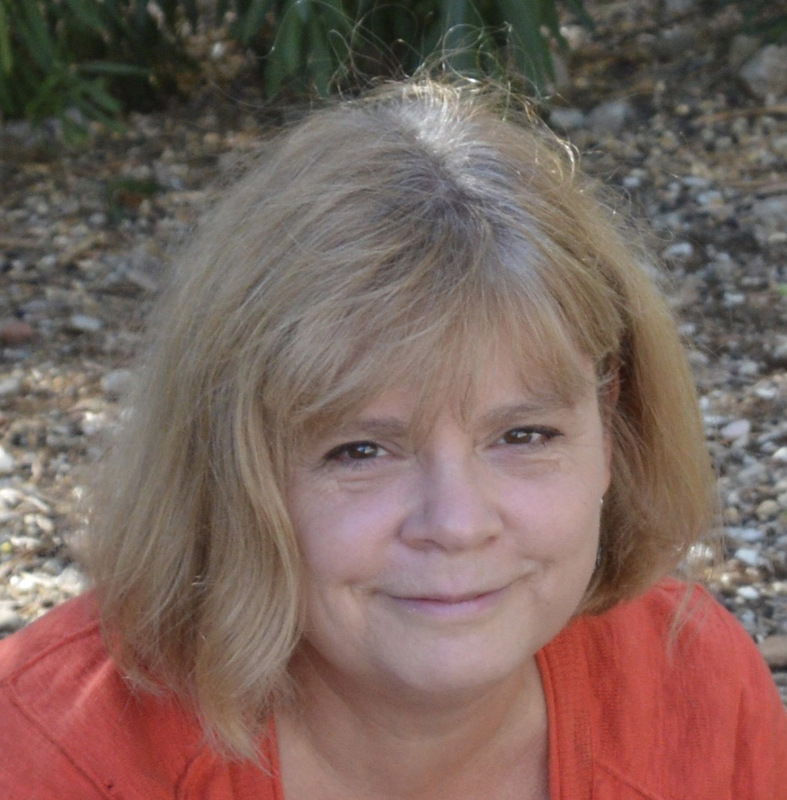 Author Helen Haraldsen approached me about a package for her middle-grade pony book, Little Pearl. Helen wanted the book edited and a new cover to match. I was delighted to work with her as I had been obsessed with pony books as a kid and spend every summer at the pony club in my local riding school. Helen and I chatted about what type of cover design she would like. 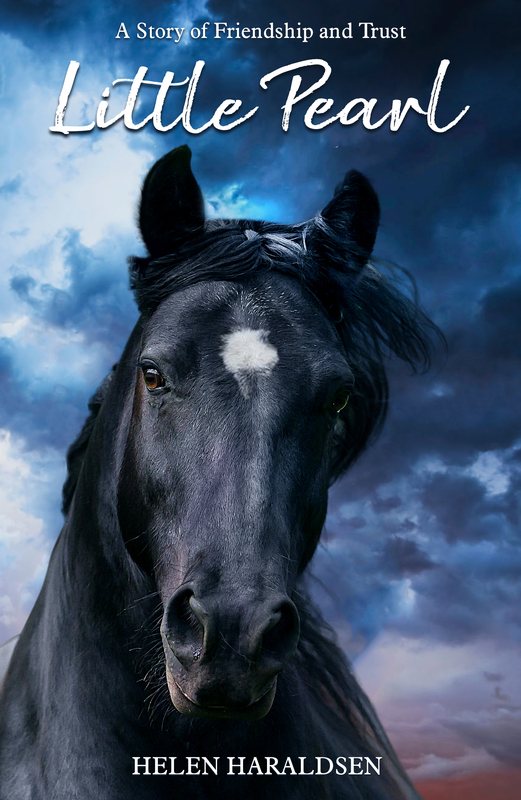 We mulled over books like Black Beauty and decided that we wanted Pearl (who was a real pony) represented on the cover. We eventually found the perfect picture of a black Fell pony and a lovely dramatic sky that goes well with a pinnacle scene in the book where Pearl proves here worth. We went back and forth a couple of times, adding elements and taking them out, and I have to say I love the final book cover design. It’s striking and inviting. I know if I had seen this book cover designs on the shelf as a younger reader, I’d have grabbed it fast! So here it is, the final cover design for Little Pearl. Id love to know your thoughts. Below the cover, you’ll find the blurb and more information about Helen. If you’d like to chat about a cover design for your book, please get in touch. Have you ever wanted something really badly, then got it and wished you had something else? Amber has always felt a special bond with her favourite riding school pony, Pearl, and when her parents buy Pearl for her, she is over the moon. However, when she meets Joanne and her fiery show jumper, Flash, Amber starts to wonder if Pearl is the pony for her after all. Only in the aftermath of a terrible accident does Amber finally realise that Pearl truly is a special pony. Helen was born and raised in Cumbria, surrounded by fells, fields, and forestry. Her adventures with ponies began back in 1990 with Little Pearl but they are still continuing now with her current herd: Maddy, Charlie, and Holly who are all just as interesting and individual as Pearl was. Helen always loved reading, writing and drawing, especially about horses! She even did her final GCSE artwork on horses. Given that these were her early loves, it has come as no surprise that Helen became an English teacher and school librarian. She still loves reading books for young people, and introducing young people to the book that turns them into a reader is one of the highlights of her job. 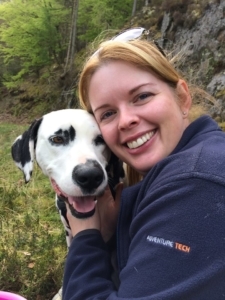 When she’s not riding, reading, writing or teaching, Helen can be found at home looking after a variety of dogs, hens, ducks, and geese! Welcome to the fourth post in my series, Writing Tips Wednesday. If you are an author and would like to take part, please contact me. Today author Julie Ryan shares her tips. There is plenty of good writing advice out there but just as writing is subjective, so are the tips. You need to find what works for you so here are a few ideas that worked for me. Procrastination is every writer’s downfall. Actually sitting down to write is the first step, even if you think you have nothing to say. Once you start you may surprise yourself with how the words flow. By writing regularly you instill good habits and it helps with continuity – you don’t have to keep going back to read what you last wrote. By finishing mid-action or even mid-sentence, you will be more likely to want to get back to it next day. If you do find yourself looking at a blank screen and the inspiration just isn’t flowing then you have a couple of options. 1. It may be that you’ve reached a mid-point in your book where nothing much happens. If so, then maybe this is the point where your reader would also lose interest, Try going back a couple of chapters to see where the problem is. 2. Go and do something else for a while. You may find that going for a walk, driving, baking a cake, all free up that brain space as you concentrate on something unconnected. It’s hardly surprising that sometimes the best ideas hit us just as we’re falling asleep, once your overworked mind has a chance to relax. You never know when inspiration will strike so be prepared. There’s nothing worse than a half-remembered dream hours later or trying to make sense of snippets of information on the backs of envelopes or serviettes. For each new character you introduce, jot their details down in a separate notebook. That way, you won’t need to go through all you manuscript to find out if your character had blue or brown eyes. A family tree, if you have a lot of characters, is also useful for keeping track of how the characters are related. Copy all your deleted work into a separate folder. You never know when you might be able to reuse bits of it. It might even provide the inspiration for a new story at a later date. Of course, it goes without saying that you have backed your work up on a regular basis. At the very least email your WIP to yourself every few days so you won’t lose an entire file. It can be tempting to try and emulate our favourite authors or to write a trope that is in demand. However, you need to find your own voice. If you’re passionate enough about your writing, it will show through. Julie Ryan was born in a small mining village in South Yorkshire. Not venturing too far from home, she studied French Language and Literature at Hull University, where she also trained as a teacher. Then the wanderlust kicked in and she lived and worked in France, Poland, Thailand, and Greece. This broadening of the mind has had an enormous impact on her writing. 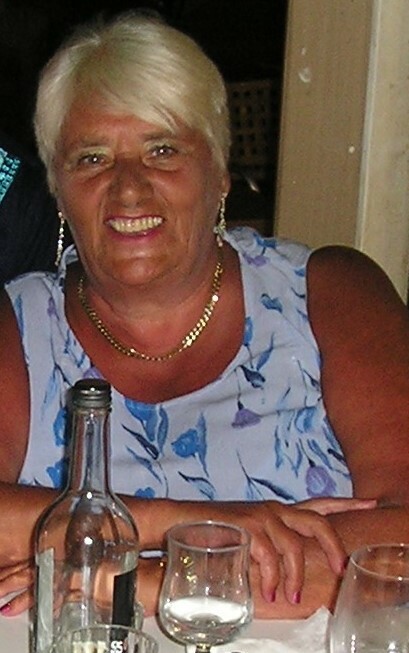 She now lives in rural Gloucestershire with her husband, son and two cats. She is a bookaholic with a one-click addiction much to her husband’s dismay as they are running out of space. She will also need to live to be 197 in order to read all her books. Her Greek Island Mystery series includes ‘Jenna’s Journey’, ‘Sophia’s Secret’ and ‘Pandora’s Prophecy’. Each can be read as a standalone. Her latest book is ‘Finding Rose’, a story of three sisters, three time periods and three secrets. 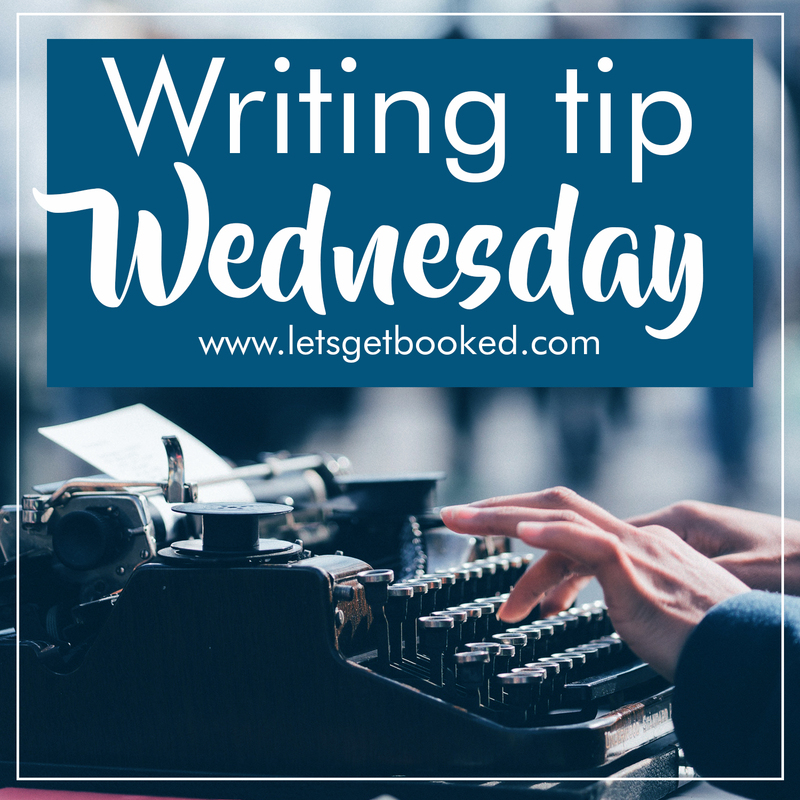 Welcome to another post in my Writing Tip Wednesday series. Today I’m joined by author Paula Harmon. If you would like to be part of this series, please contact me. I made excuses for not writing for years. I didn’t have space, I didn’t have time, I didn’t have the right equipment. Then one day I stopped making excuses and got on with it. I realised it didn’t matter if I didn’t finish something straight away: either I’d get there one day or I’d use the ‘snippet’ somewhere else. I learnt to write in noisy environments on a phone if necessary. Now I try to write something every day if I can, even if it’s just a sentence or a phrase, even if I know it’ll never turn into anything. It just keeps the writing muscles toned. There are lots of Facebook groups and websites which can help you with prompts when your mind goes blank. These are especially helpful for short fiction, but there’s no reason why they can’t start a novel. Make a folder of pictures which catch your imagination. They don’t need to be ‘good’ pictures or even recognisable. I have one of a blurred patch of grass taken by accident – it make me wonder – who’s in a hurry? Where are they going? What are they running from? Interview your characters! Sounds mad, but it’s very useful. There are lots of example interviews available and you can have a lot of fun with them. It can surprise you when you ‘find out’ your characters pet hate or secret fear and it gives them a bit of depth. It’s also a handy technique when you get stuck. Go and ask your characters some awkward questions. Make them suffer a bit for a change. It’ll almost certainly kick start your thoughts. If you can find someone you trust to give feedback, don’t be afraid to ask them. Sometimes it hurts if someone doesn’t ‘get’ or like something but if you can take a step back and look at it objectively, you may find that they’ve found something that needs to be improved and when you do, your writing will be better and stronger. I have at one story that few people have ever read because it’s too personal and raw. I needed to write it to get something out of my system and once it was written down, I could move on. There was a long time when I didn’t write at all. I didn’t realise how fundamentally miserable I was without an outlet for my creativity. Once I started again, I felt less stressed, more fulfilled, more complete. Paula Harmon was born in North London to parents of English, Scottish and Irish descent. Perhaps feeling the need to add a Welsh connection, her father relocated the family every two years from country town to country town moving slowly westwards until they settled in South Wales when Paula was eight. She later graduated from Chichester University before making her home in Gloucestershire and then Dorset where she has lived since 2005. She is a civil servant, married with two teenage children. Paula has several writing projects underway and wonders where the housework fairies are, because the house is a mess and she can’t think why. Welcome back to the second post in my Writing Tips Wednesday post. If you would like to take part please contact me. Advice– Stop thinking, browse Facebook, do something completely different, let your mind drift. I use a laptop and as something occurs to me, start a file with sometimes little more than a date, the thought or impression, and perhaps an initial title. These are saved in a ‘Stories to be completed’ file. When the blank page threatens, just browsing through the file can be enough to start the brain ticking over, and before you know it, you’re off and running (or writing.) If you’ve gone off on a tangent, you still have the original prompt for a later date. Plot holes. A similar idea. Step away from your manuscript. Perhaps use the same characters but in a different setting or theme. If it’s Noir, write as a comedy, turn fantasy into romance. What’s the betting your mind will produce a big spade, and you can confidently return to your novel full of hole-filling ideas? Try reading your work in different formats. There is a suggestion that reading it backwards will show up errors but I find that rather hard work. Instead, use different formats and fonts – reading the same thing on your phone, tablet, laptop, Kindle and printed sheet all help to pick up typos. Do you have a ‘go-to’ word? One of mine is ‘just.’ Doing a search for a favourite word will reveal just  how many times you use it. Look for repetition and highlight the guilty parties. Using an online thesaurus (or even an old-fashioned dictionary) will offer alternatives, and even bring up words you haven’t heard before to help keep your writing creative. ‘Color’ or ‘Colour’? Remember different sides of the pond use alternative spellings. Use whichever is right for you, but don’t mix and match. A dessert in the desert. Another favourite I always have to look up. Google. Useful for checking facts. If your character uses her phone to take a photo, was the technology available in your time setting? Did you know unicorns were believed to be the ancestors of rhinos? Do you realise how easy it is to get distracted when researching? Finally, enjoy your writing. It might never make you rich and famous but there is great satisfaction in ‘I did that.’ Read, never stop learning and have fun. Val’s pen name ‘Voinks’ started as a joke then gradually spread through the family, so it was an obvious choice when her first book was published. Although unique it was not memorable, which is the reason for more recent books being published under her own name. Despite receiving her first rejection letter aged nine from some lovely people at a well-known Women’s magazine, she continued writing intermittently until a freak accident left her housebound and going stir crazy. The rainbow saving her sanity was completing and having her first full length novel published. This was followed by a second traditionally published book before experimenting with self-publishing. A planet with forty-eight-hour days would be useful to have time to write all the stories waiting to be told, and to become better acquainted with the bloggers who are so supportive of authors struggling to release their characters onto the world at large. Reviews are always welcome as they help pay for food for the Unicorns she breeds in her spare time. Welcome to the first in a new series on my blog called Writing Tip Wednesday. Each week an author or member of the book community will share tips that you can use to be a more effective writer. Today we have author Simon Farrant sharing his tips. So you want to write a story? Great! It’s my genuine belief that many people can, especially if they are keen readers. Afraid of what? Failure to reach the end? The manuscript not being good enough? Some years ago, I was at a low ebb. My job was gone because of my new disability, with all the issues that come with it. Depression was really kicking my arse. No one expects that you will know much about writing nor the processes involved. But there are many many people who can and will help you. A blank sheet is boring to read. But, what if… you laid down a few hundred or maybe a couple of thousand of words a day. Make time each day to write a little. Even if it’s a stolen twenty minutes… That’s two hours at least a week. Soon it will be a normal part of your day. Sitting at home writing may seem solitary. But it need not be so. There are many Facebook groups out there with like-minded people. Be discerning, Brenda from Barnsley has never written a book but she is telling anyone who is listening about something she is an expert on. Don’t let that frighten you off though; there are wonderful groups like Book Connectors which are jam-packed with knowledgeable and helpful people. Experiment a little, there is no one right way to write a book. You may find that you can’t plot for toffee, or that if you don’t plot it all goes to pot. For me, a compromise works well. I loosely plot, to give me the path and then start writing. The WIP (Work in Progress) I am working on, I made a 14 chapter outline. I’m on chapter 12, but my naughty characters have done their own thing. Bad kids. This chapter now has about 5 chapters within it, and chapters 13 and 14 are not necessary because the road has taken a turn. That’s ok. Be flexible and enjoy the adventure. After writing the first draft, I can shake it up move things around and make it as good as I can before sending it to God. I mean the Editor. Another tip now; find a great editor. Not just one that ticks the qualification box, but one that you also strike a chord with. They are going to work hard on your manuscript, but if your personalities clash then it’ll make working together onerous. You’ll need a fairly thick skin but always remember that they are helping you to make your work to be the best that it can be, NOT criticising for the sake of it. If you book one, after a sample edit, and the works great but there’s something not quite right with the working partnership then move on. The above tip also applies to your cover designer. Remember what I said about making contacts? One unexpected bonus of writing is that I have made new friends. Oh, always always always get your writing edited and a pro cover (it doesn’t need to be expensive, look up ‘pre-made’ or see if your designer will offer a payment plan) or you’ve handicapped yourself before you start. My final tip – invest in some tech. Pro Writing Aid – look it up, it’s awesome. Simon was born in Doncaster, South Yorkshire, England. He is proud of his Yorkshire roots. This can be seen by how much Yorkshire Tea he drinks! He has lived in various places, and went to the University of Derby and gained a HND and a BA (Hons). Since then, he has lived and worked in a few more places before finding the love of his life. He moved in with his wife, got married and had three kids. Our home is shared with Missy the cat and Skeddie the Pink Tongued Skink. They have lived in Corby since 2005 and love living there. What an adventure; it started fifteen years ago when we met. Since then, Simon is proud to have served as a Special Constable in Northamptonshire. He wanted to join up to be a full-time police officer, but life had another plan. At the time, he was working for a major national supermarket as a HGV (large truck) driver, which he did for over a decade. He became ill in 2011, but the illness never went away. Now he is disabled with various chronic illnesses, which resulted in him losing his day job about four years ago. Fibromyalgia and Psoriatic Arthritis are the main culprits. He wondered where life would take him next. Mark Nye, a superb writer and a friend, asked for submissions for an anthology. Simon wrote a short story called Famously Ordinary. To his delight, Mark told him that it was a good story. By then, he had caught the writing bug! The anthology was never actually published, so Simon made it into a novella. A further book, The Crucifix, was written and the series Newdon Killers was born. You can contact Simon on his website www.farrantfiction.com. Find him on Twitter and on Facebook.